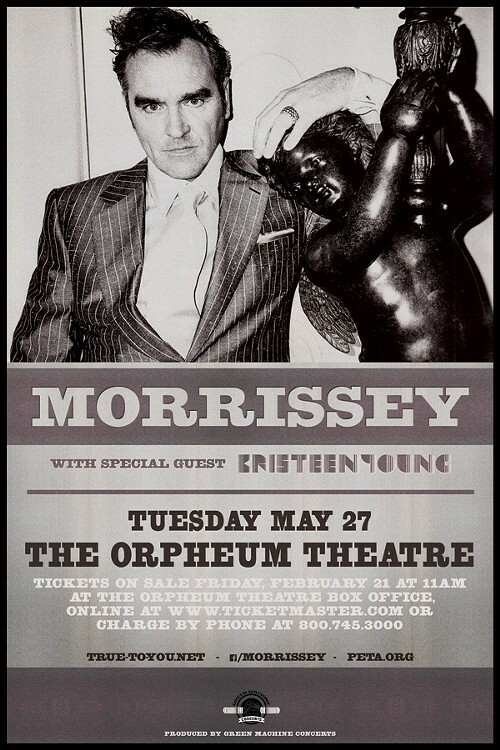 Morrissey is coming to The Orpheum on May 27th, and we've got tickets. For your chance to win a pair, just follow this link and fill out the form. You can enter as many times as you like. The ticket drawing will be held on Wednesday, March 5th, and winners will be notified via email. Tickets go on sale Friday, February 21st. In the meantime, click this link and use offer code "suedehead" for a special pre-sale for Flyer readers. 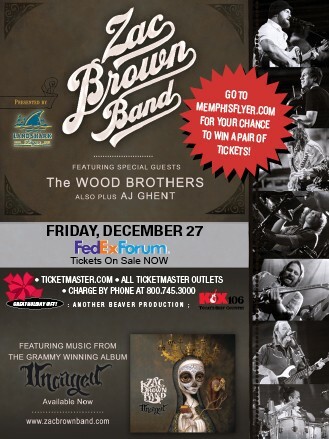 The Zac Brown Band is coming to FedExForum on Friday, December 27th, with special guests The Wood Brothers and AJ Ghent. The Flyer has your chance to win a free pair of tickets. Just click here and fill out the form. You may enter as many times as you like. Winners will be notified via email on Wednesday, December 18th. 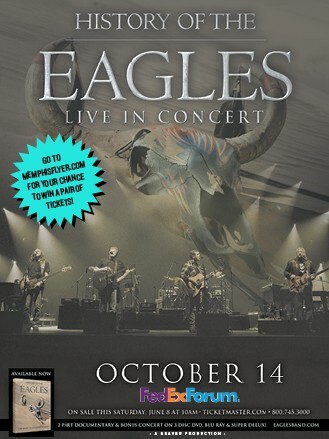 The Eagles are coming to FedExForum on Monday, October 14th, and we've got your chance to win tickets. Click here and fill out the form to register for your chance to win. You can enter as many times as you like. Winners will be selected and notified on Monday, October 7th. 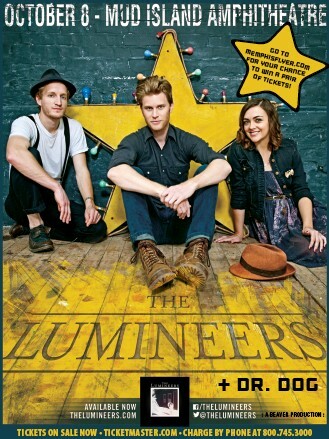 The Lumineers are coming to Mud Island Amphitheatre on Tuesday, October 8th and we've got your chance to win tickets. Just click here to fill out the entry form. You can enter as many times as you like. Winners will be selected and notified on Tuesday, October 1st. Here comes another great rock show from the folks at Beaver Productions. 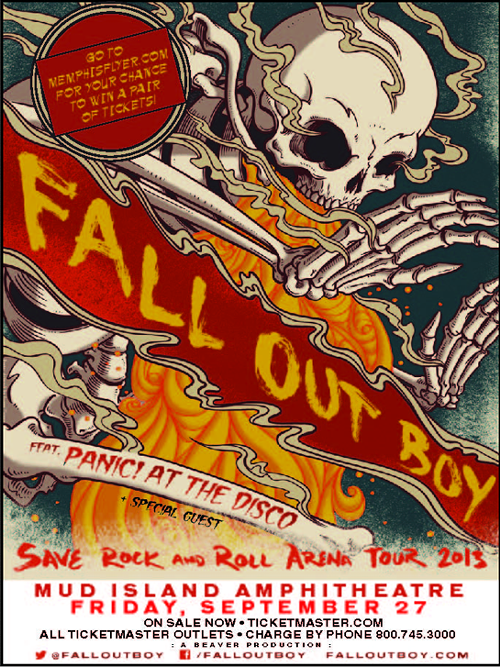 Fall Out Boy plays Mud Island Amphitheatre on Friday, September 27th, with special guests Panic! At The Disco. We've got tickets. Here's how to win. Click here and fill out the form. You can enter as many times as you like. Drawing will be held on Wednesday, September 18th. The fine folks at Beaver Productions are bringing two great shows to Mud Island Amphitheatre the first week of September. 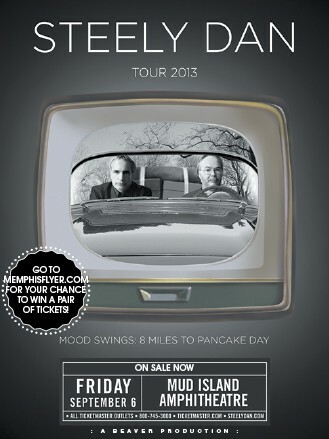 We're giving away tickets to both shows. Just click on the links above and fill out the form to enter. Enter as many times as you like. Winners will be drawn for both contests on Wednesday, August 28th. Click to enter to win. 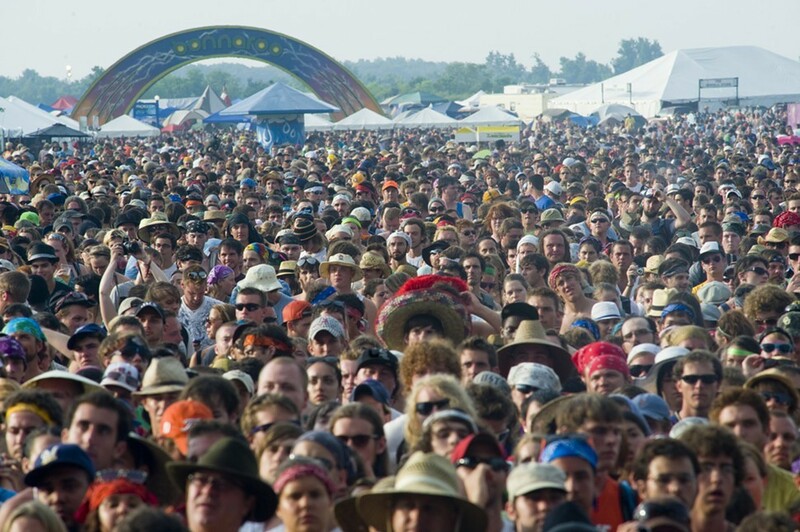 The Bonnaroo Music & Arts Festival returns to Manchester, Tennessee next week for its 12th year, drawing nearly 90,000 music lovers to a 700-acre stretch of farmland for four days of fun in the sun June 13-16. The festival is known for its diverse bill of artists, and this year’s lineup features headliners Paul McCartney, Bjork, Mumford & Sons, and Tom Petty & the Heartbreakers, as well as comedic performances by Daniel Tosh, Bob Saget, David Cross, and others. In a recent telephone press conference, actor and comedian Bob Saget, legendary punk rocker Billy Idol, and festival founder and promoter Rick Farman chatted with reporters about the upcoming festival. Bonnaroo founder and promoter, Rick Farman, is amped for this year’s festivities and said they are offering a new program to bring more of the surrounding community to the event. “This year, we’re focusing on Nashville and offering a combined package where you buy a ticket, and you have a shuttle to get down to the festival and take you back,” Farman says. This is a way for those who are curious about Bonnaroo but don’t want to commit to the four-day camping experience to get a taste of what the festival has to offer. “Over the years, we’ve really sought to diversify the ways that you can do Bonnaroo,” Farman said. Of course, attendees can stay in an area hotel or bring their own camping gear or RV, but Bonnaroo also offers on-site RV or tent rental. “It’s always been a part of our plan to try and make Bonnaroo as attractive and accessible to a variety of different audiences and a variety of different economic levels,” he said. Farman says the inspiration for Bonnaroo comes from European festivals like Glastonbury, Roskilde, Reading, Leeds, and Lowlands. “They’ve been going on for 30, 40, 50 years and have really become iconic and part of the overall culture of the countries that they’re situated in,” Farman said. “I think that’s what we aspire to be. We’re on our way to being 12 years in. We’ve still got a lot of growing up to do, but we really believe that we’ve got a very long life ahead of us. We couldn’t be happier about that, too." For a chance to win tickets to Bonnaroo 2013, go here and complete a short survey. Winners will be notified via email by noon tomorrow (Friday, June 7) and must be able to pick up tickets at our office downtown. 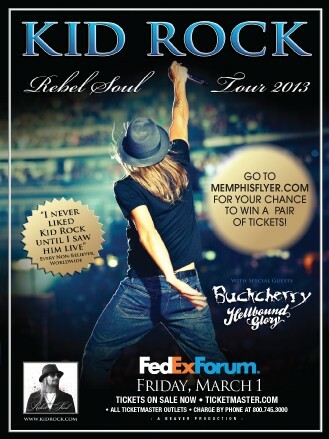 Kid Rock is coming to FedExForum on Friday, March 1st, and we've got tickets! One entry per reader, please. Winners will be drawn on Friday, February 22nd, and notified via email. Bill Maher is coming to the Orpheum on January 26th, and we've got tickets. 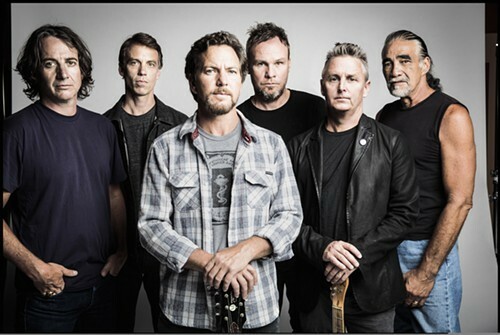 Enter here for your chance to win a pair of tickets. One entry per person, please. Winners will be drawn on January 18th and notified via email. We've got tickets to the 4th Annual Monster Ball on Friday, October 26th at Bluesville inside the Horseshoe Casino and we want to send you and a friend there for a fun night of freaky fun. The event features music and video from DJ Swagg and a costume contest with a 1st place prize of $1,500! You can enter as many times as you like. Winners will be selected on Friday, October 19th, and notified via email. Must be 21 to enter. See additional info below. 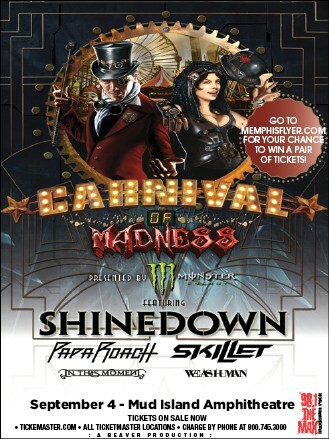 Click here for your chance to win free admission to the Monster Ball! - Guests with a mask or facial paint will not be allowed on the gaming floor. Any guests with mask or face paint must enter & exit through hotel valet. - General admission tickets may be purchased for $20, plus Ticketmaster service charges. VIP booths are available for $300 plus service charges. - There is no charge to enter the costume contest, but participants must register when they arrive at Bluesville between 10pm and 12am. 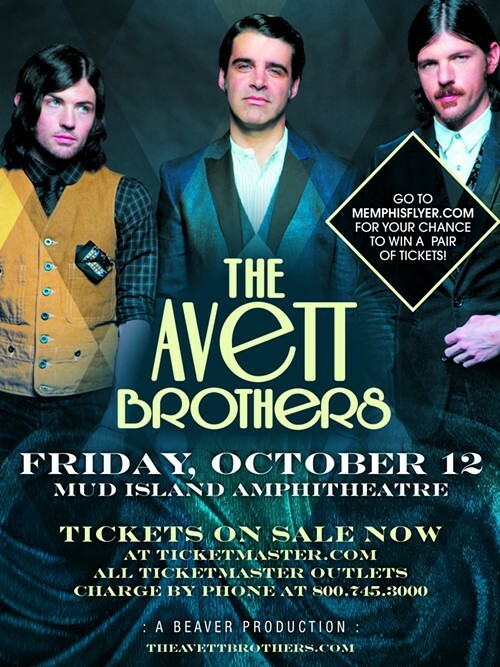 The Avett Brothers are playing Mud Island Amphitheatre on Friday, October 12th. We have tickets, and we're giving you a chance to win them. Just follow this link and enter your contact info. Winners will be drawn each week on Friday and notified via email. 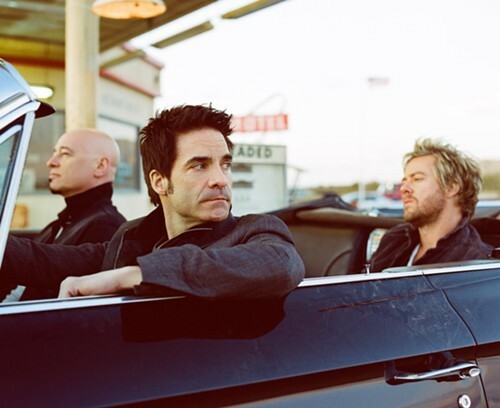 Train is coming to Mud Island Amphitheatre on Wednesday, September 12th, with Mat Kearney and special guest Andy Grammer and we've got tickets. 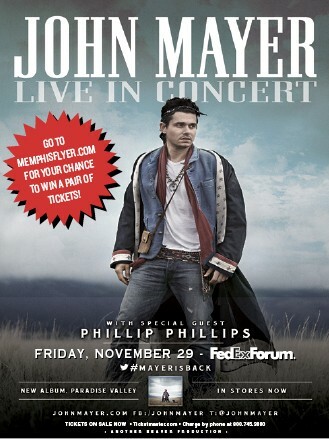 We're giving away a pair of tickets each week on Friday. You can enter as many times as you like and winners will be notified via email. Good luck! Norah Jones is coming to Mud Island Amphitheatre on Friday, June 22nd and we've got tickets.